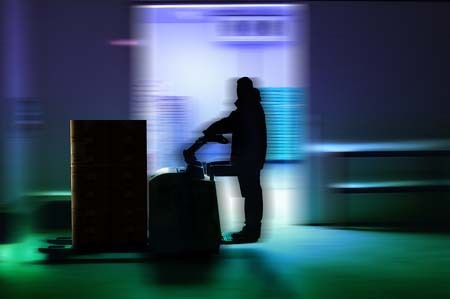 Illinois based materials handling equipment and warehouse supplies company, Bahrns Industrial Supplies, has a long history of providing central Illinois warehouses, factories and other businesses with all of their materials handling needs. 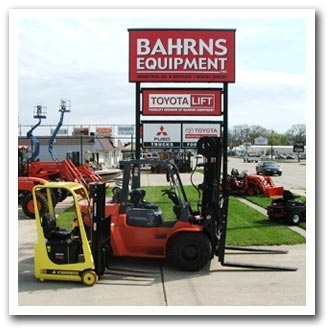 Originally operating out of its Effingham IL premises, Bahrns went on to establish its forklift sales and service facility in nearby Champaigne. Now Bahrns has added a new dimension to its services with the establishment of a network of online services, including ReconditionedForklifts.com. In keeping with their company policy of providing the widest range of products to their customers, Reconditioned Forklifts includes every brand of forklift in its online catalog. If you’re looking for a used TCM forklift for sale, you can probably find it here. When Bahrns Industrial Supplies set up shop in Effingham IL in 1966, it was filling a gap in the region’s industrial needs, providing a full range of materials handling equipment and supplies rather than focusing on niches as others did. This allowed central Illinois businesses to save money and improve efficiency by getting everything they needed, from packing tape to forklifts, from one reliable source. Today, ReconditionedForklifts.com is filling an online gap by offering a full range of used and reconditioned forklifts to the American market. While used forklifts can be found elsewhere online, they are usually single forklifts offered by private sellers or a limited range of used lift trucks. In comparison to other major brands, finding a used TCM forklift for sale is not easy, but whether you need an “as is” TCM lift truck for parts or a “guaranteed operational” TCM, your chances of finding one here on Reconditioned Forklifts are very good. Not only are you likely to find a used TCM forklift for sale on ReconditionedForklifts.com, our relationship with Bahrns Equipment makes us an authorized Certified Toyota Reconditioned Forklifts dealer. These are some of the most in-demand used lift trucks in America today. We make it easy for you to find the forklift you need here on ReconditionedForklifts.com. If you’re more interested in buying a class of forklift than a particular brand, start with the menu on our sidebar. For example, click “Electric Rider (CLI)” and you will be taken to a complete listing of all currently available Class I Electric Rider forklifts. Each of them will be clearly marked, indicating whether it is in “As Is” condition, “Guaranteed Operational” or “Reconditioned.” For more information about these classifications, check out our article, About Reconditioned Forklifts Condition Types. If you’re looking for a specific brand, such as a used TCM Forklift for sale, go to our Complete Inventory page and choose the make you’re looking for from the filter menu at the top of the page. Because our stocks are continually turning over, you may not find what you’re looking for. If that’s the case, contact us and ask our representative to get back to you when the used forklift you need becomes available. Remember, ReconditionedForklifts.com is not just a web address: it’s your direct link with our customer service personnel. We look forward to hearing from you.